Attempted suicide is the main risk factor for suicide. The Attempted Suicide Short Intervention Program (ASSIP) described in this manual is an innovative brief therapy that has proven in published clinical trials to be highly effective in reducing the risk of further attempts. 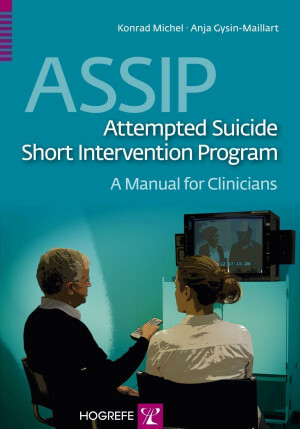 ASSIP is the result of the authors’ extensive practical experience in the treatment of suicidal individuals. The emphasis is on the therapeutic alliance with the suicidal patient, based on an initial patient-oriented narrative interview. The four therapy sessions are followed by continuing contact with patients by means of regular letters. This clearly structured manual starts with an overview of suicide and suicide prevention, followed by a practical, step-by-step description of this highly structured treatment. It includes numerous checklists, handouts, and standardized letters for use by health professionals in various clinical settings. "A prior nonfatal [Suicide] attempt is one of the most reliable predictors for a future attempt. The Attempted Suicide Short Intervention Program (ASSIP) provides a time-limited option that targets not only the factors contributing to the suicidal crisis, but also the need for interpersonal connection after the crisis occurs. "A primary strength of this intervention is that it is grounded in evidence-based theory and practice. The ongoing contact over the course of two years... although a small effort, can cause large reductions in future attempts. "Overall, this manual is an important step in providing brief interventions for attempt survivors immediately following a suicidal crisis, and it provides tangible efforts to clinicians who may not feel equipped to help them." "The Attempted Suicide Short Intervention Program (ASSIP) is a new and highly promising brief therapy that can be administered in addition to treatment as usual. ASSIP originated after many years of clinical practice and research by the authors, who were able to integrate their model with a truly international wealth of knowledge. ASSIP is a precious gift to all of us who fight against suicide." "The suicide prevention and behavioral health fields have been preoccupied with suicide risk assessment. Finally, with ASSIP there is a brief outpatient intervention to treat individuals at risk of suicide following an attempt! The simple and easy-to-train ASSIP model centers on direct engagement and collaboration and produces strong results, as the 24-month follow-up study has shown. None of our patients should die alone and in despair – every behavioral health professional should take note of the ASSIP program!"